This morning: speculation that the President may have commuted the sentences of member of the so-called Cuban Five in exchange for the release of Alan Gross. The Associated Press, a seemingly easy target on such stories, suggests that the "surprise prisoner swap" has "echoes of the deal the U.S. cut earlier this year to secure the release of Army Sgt. Bowe Bergdahl [in] exchange for [five] Taliban prisoners held at the Guantanamo Bay detention center." But, with very little effort, that "echo" appears to be more of a quick end-of-one's-own-nose style observation. Gross, boarded an American government plane bound for the United States on Wednesday morning, and the United States sent back three Cuban spies who had been in an American prison since 1981. American officials said the Cuban spies were swapped for a United States intelligence agent who had been in a Cuban prison for nearly 20 years, and said Mr. Gross was not technically part of the swap but released separately on “humanitarian grounds” ... In addition, the United States will ease restrictions on remittances, travel and banking relations, and Cuba will release 53 Cuban prisoners identified as political prisoners by the United States government. In 1962, President Kennedy commuted the lengthy prison sentence of spy Rudolf Ivonovich Abel who transmitted information back to the Soviets via smuggled microfilm or microdots or through the use of code and a powerful radio transmission. Abel's luck changed considerably on March 1, 1960. On that day, American pilot Francis Gary Powers and the fuselage of his U-2 were greeted by a Soviet missile while cruising at sixty-two thousand feet. The Soviets suddenly had an intelligence worker of their own! On February 2, Powers and Able were exchanged, crossing each other on Glienecker Bridge spanning Lake Wannsee and separating West Berlin and Potsdam. In 1963, the Justice Department encouraged Governor Rockefeller to commute the sentence of a Cuban who accidentally shot and killed 9-year-old. 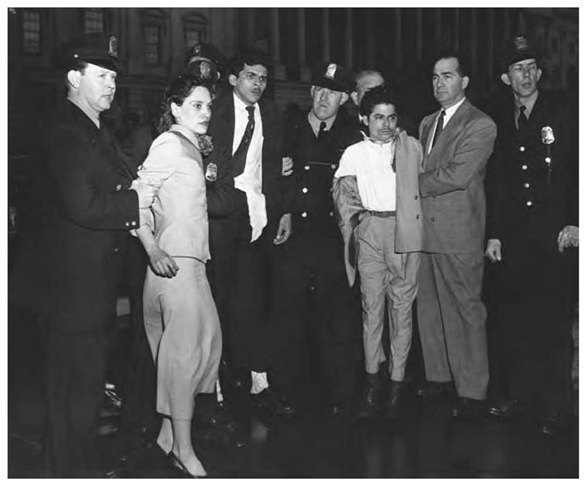 Federal indictments were also dropped re three other Cubans convicted of conspiracy to commit sabotage. Cuba then freed American citizens (some of which were CIA agents) imprisoned imprisoned for "counterrevolutionary activities." In 1979, President Carter commuted the sentences of four individuals who sprayed the chambers of the House of Representatives with bullets and hit five members of Congress. The so-called "Purto-Rican Nationalists" were never penitent. Indeed, they only lamented the fact that they were not also equipped with bombs! Consequently, they never applied for pardon, or commutation of sentence, or even parole! Carter explained that he had acted for "humane reasons" and administration official followed with a series of denials that the commutations were part of any "package deal." But Columnists Evans and Novak quickly speculated the commutations sprung from the desire of State Department officials who wanted to "head off further diatribes against the United States" by pro-Castro officials in Havana. The New York Times, Washington Post and L.A. Times all suggested the commutations were associated with an "expectation" that American prisoners would be released in Cuba. And, a few days later, four American CIA agents were released. In 1985, Ronald Reagan commuted the life sentence of Marion Zacharski, an intelligence agent for the Polish Security Service (SB) dubbed the “Silicon Valley Spy” by the American press. Zacharski obtained confidential information on radar systems for the F-15, B-1, Stealth bomber and tanks, and documents on the Patriot surface-to-air missile, the Phoenix air-to-air missile, and the NATO air defense system. On June 11, U.S. Assistant Secretary of State, Richard Burt traded Zacharski and three others for twenty-five American agents and "political detainees" who had been captured by the counterintelligence agencies of Warsaw Pact countries. The Washington Post reported that the swap may have been the "biggest" of its kind. Zacharski had served just four years. Which brings us to the so-called "Cuban Five" (see our previous posts here). Gerardo Hernández, Antonio Guerrero, Ramón Labañino, Fernando González, and René González were Cuban intelligence convicted of (among other things) conspiracy to commit espionage and murder acting as an agent of a foreign government. René González was released in 2011 and allowed to return to Cuba. Fernando González was released in this past February, so only three of the original five remained in prison. Supporters of the Five complain that their defense was hampered by the fact that they separately placed in solitary confinement during pretrial custody. Attorneys also argued a fair trial could not be obtained in Miami, where there is a history of hostility toward the Cuban government. In 2005, the UN Working Group on Arbitrary Detention concluded imprisonment of the Five was arbitrary and violated Article 14 of the International Convention on Civil and Political Liberties, to which the United States is a signatory. It is said that the Five have also received support from ten Nobel laureates, the Mexican Senate, the National Assembly of Panama, Mary Robinson (former President of Ireland), a former UN High Commissioner for Human Rights, UNESCO General Director, 75 members of the European Parliament. So, the release of Taliban prisoners - with all due respect the Associated Press - is actually not a very good point of comparison. The Cuban Five were convicted and the speculation, at this point, is that their prison sentences were commuted by the President. Whatever the details may be, the pardon power was not utilized with respect to Guantanamo detainees.